Home Blog How Hyper Local SEO Can Help Your Website? 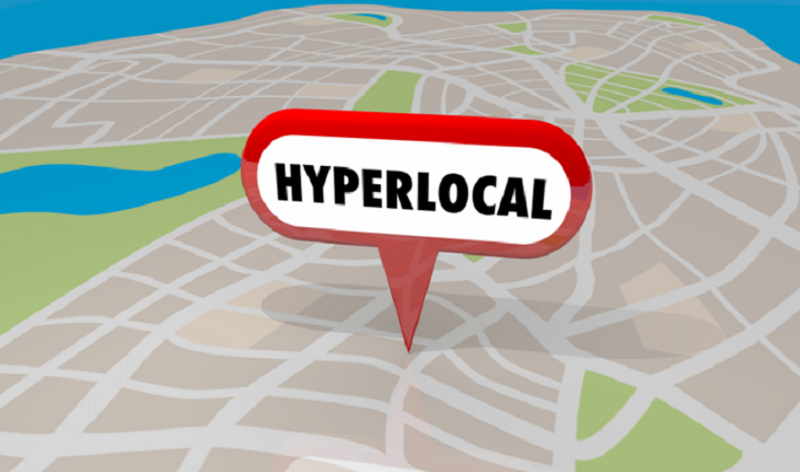 How Hyper Local SEO Can Help Your Website? Technological advancement has made a breakthrough in the stream of business and marketing. Technology has worked variably to promote business strategies. It has also brought about the ease to showcase content to a larger crowd through appropriate targeting methodology. But when the potential leads are restricted to a few miles, one needs to rethink to improve the SEO tools. Maximizing the reach is the basic focus of the small-scale business goal. The search engines are in the process to make the search result more focused and relevant to the audience. This has made substantial growth of optimization. The business organization had to keep pace with the upheaval of the Google set to stand in the forefront. The gap was bridged by the introduction of hyperlocal SEO. This is used more often nowadays and matches vividly with the regulating trend of Google. What is meant by Hyper Local SEO? As the name implies, it is to do with the geo-location. It means to restrict the focus to a small geographical area or a community. Hyperlocal advertising is a way to promote the service/product in a defined area. It is certain that people are unknowingly using the hyperlocal SEO. The ads in case of hyperlocal advertising are displayed to a limited audience. It means that not everyone will have the same access to a webpage who have typed the same keyword from another city. Majorly business that is service based focuses on the local advertisement. The search engine is progressively getting smarter to show its result. Through local SEO the audience can certainly know about places that are far off and out of reach. It is certain that a person sitting elsewhere can know what beauty salon operates in Boston through these search engines. Nowadays the Google majorly is redefined to show the desired search result maintaining the proximity to the current location. This makes the search more relevant for the users. It shows the results that have the best rating and is closest to a location. Thus, hyperlocal SEO makes much more sense when it comes to functionality. How to initiate with Hyperlocal SEO? There is a great possibility to go into the depth of hyperlocal SEO and get your ball rolling. The rankings can increase with a flash by following a few simple tricks. The keywords are a basic element that makes one's website to the forefront. Rather than adopting an elaborate keyword that spreads to a broad area, try to make it more specific and relevant. This can help in displaying the service to the particular local crowd. It is necessary to mention the exact address as it can be flashed several times and has great functionality. The search engine is pre-designed to find this particular information and link it to the particular search regarding the type of service. This helps in placing the service among the top of the search list. When concerned with the hyperlocal SEO, this can be a significant step. The places to start with are the Yelp, TripAdvisor, YP, and Google+ and so on. This is a tedious chore that may consume time. But in the long run, this can verify the information in a better way. There is a need of including markup which needs to be displayed on Google. This may include certain necessary information or action calling button to boost the business. This can increase the trafficking to the particular location. Closing/opening time throughout the season. Latitude and longitude of the particular business location. Specific attributes which are business oriented. For instance the delivery service, table booking procedure in a restraint. The benefit of hyperlocal advertising is quite clear and certain. The search becomes more focused and the audience becomes targeted. The business has understood that the trend in inclining towards the mobile mediated searching who generally type ‘near to' or ‘near me' to find their destination. These phrases corresponded to the hyperlocal SEO searching which thereby developed the concept. Google accredits the particular site and ranks them accordingly. The top ranking business organization can ensure the call-to-action buttons that are promptly displayed on the screen that directs the customers to get the desired product. Thus, it boosts up the business in a much-defined way. The online visibility is tremendously improved which completes the website and the marketing strategies. Many reasons have come into limelight how a business website can proliferate through hyperlocal SEO. This is a well-built strategy for local marketing that has an impact on the organic strategy of marketing. This helps one to take a count on which route f advertising to take. Whether posting a regular content is required or not can be evaluated skillfully. In the world where mobile searches are speeding up, hyperlocal SEO tools stand part par to boost the local business revenue. The hyperlocal advertising will stay effective in the coming years. Thus, hyperlocal advertising can fetch relevancy to the website and is an appropriate measure to make a huge difference in website-trafficking. It is regarded as the most sensible marketing way to propel the business to their extremity in a few years.